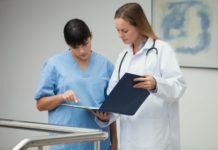 Home Registered Nurses APRNS Expand your clinical and practice knowledge today! You’re on the frontlines of health care every day, touching the lives of countless patients and making a real difference in the nation’s health. 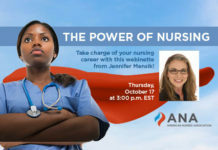 American Nurses Association (ANA) is here to help you access the resources you need to provide world-class care to your patients. We want to make it as easy as possible for you to excel at the bedside and beyond. 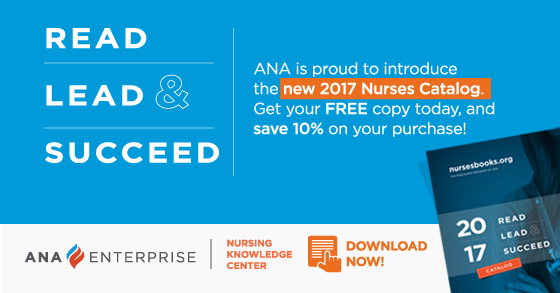 ANA’s brand new 2017 Read, Lead & Succeed publications catalog provides everything you need to get the edge in your professional practice and embrace your journey of lifelong learning—from the foundational documents that underpin all nursing practice and ethics, to preparation resources for ANCC certification, to career guides that keep you on your desired professional path. Whatever your goals, ANA’s books can help you achieve them! BONUS OFFER! Use promo code SUCCEED10 for a 10% discount on all orders! Get inspired with ANA’s 2017 publications catalog!